Caitriona holds a BA in Legal Studies & Business from Waterford Institute of Technology and a LLM in Human Rights and Criminal Justice from Queens University Belfast. Caitriona has a significant interest in human rights issues and volunteering and believes education and raising awareness are key factors in enhancing social justice. During her studies in Belfast she volunteered as a switchboard operator with Childline and with the British Red Cross as a Humanitarian Education Facilitator, facilitating workshops to schools in Northern Ireland, raising awareness and challenging misconceptions on issues such as HIV/aids and Refugees and Asylum Seekers. Caitriona also volunteered with Power4Good, an Irish charity working in Africa to empower people with disabilities to enjoy full human rights and ensure their access to these rights. As part of this she travelled to Malawi to conduct research for their Advancing Disability Equality Project (Adept) working alongside FEDOMA (the Federation of Disability Organisations in Malawi) to gather information from various sources on the issues facing people with disabilities in Malawi and the barriers facing them in their access to justice, services and enforcing their rights. Alongside this, in her thesis she conducted research into the implementation of the Convention on the Rights of People with Disabilities focusing her case study on the impact of this in Malawi. When Caitriona returned from Malawi, she volunteered as a health service assistant in a resource centre in her home town, Tullamore which she thoroughly enjoyed. This experience significantly highlighted however that issues facing people with disabilities not only occur in the developing world but are also prevalent in countries like Ireland particularly in areas such as access to service, justice and equality. She currently volunteers as a mentor with NIACRO (Northern Ireland Association for the Care and Resettlement of Offenders) and is training as a volunteer with the St John Ambulance service. As part of her legal experience, she has worked as a Legal Assistant with Herbert Smith Freehills in Belfast and as a Legal Executive in Lawlor Partners Solicitors in Dublin. 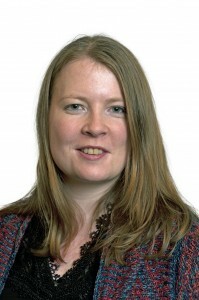 As part of her work in Lawlor Partners she assisted in the running of a legal aid clinic with the Peter McVerry Trust. She also gained experience in general practice such as litigation, probate, personal injury, conveyancing and family law. She found this experience thoroughly enjoyable as she interacted with clients on a daily basis and attended the courts which gave her significant insight into the day to day running of a legal firm. Caitriona is very excited to be working as a trainee with the Law Centre NI and as a Justice First Fellow. Having volunteered in the Law Centre’s Legal Support Project, representing clients who do not have access to alternative representation in social security appeals, she is very much looking forward to enhancing access to justice in areas she is passionate about. Caitriona has written about her experience as a Justice First Fellow for the Legal Voice website in their series "My Justice First Fellowship". This was published in November 2016 and can be seen here. A project that examines the existing powers of the enforcement agencies in Northern Ireland which have responsibility for enforcement of employment rights. The aim of the project is to raise awareness of labour exploitation and identify gaps in enforcement with a view to increasing protection for those affected by labour exploitation and particularly forced labour, thus preventing further cases and increasing prosecution in these areas in Northern Ireland. This project will support the work of Law Centre NI’s employment and anti-trafficking practitioners and thus contribute to its work in identifying strategic litigation opportunities in the field of forced labour and labour exploitation. Specifically Law Centre NI wishes to focus on improving access to adequate compensation for victims of forced labour.